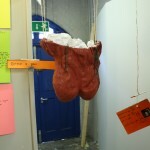 In Ireland, practices of art criticism have continued to develop in a changing landscape. Although things remain unsettled with regards to establishing publications and securing funding, there exists a vibrant energy around writing on art in Ireland in recent years. New publications, writers and editors have emerged with fresh initiatives and ideas, and there has been an increased interest in developing new spaces, publishing platforms and audiences, and in cultivating alternative approaches to writing about art. 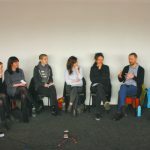 ‘The Value of Criticism’ symposium examined the role of art criticism and the critic in determining both the historical and economic value of art. The role of the critic in the changing landscape of art criticism and publishing was also explored, with particular focus on how writers, editors, curators and broadcasters approach and evaluate their subjects and influence public understanding and appreciation of art. Bickers also raised the issue of class and hierarchy between history, art history and art criticism, explaining that the entrance of art history into the academy divided art history and art criticism, and, consequently, the former was referred to as a discipline, and the latter as a practice, a categorisation that “smacked of trade, the market”. She argued that this categorisation was based on the assumed impartiality of scholarship, a view that’s no longer relevant, as all commentary on art has the potential to be used by the market. Sarah Kelleher opened the ‘Legitimacy of Criticism’ session, referring to art criticism as “increasingly an anxious genre of writing”. She referenced the many events where the anxieties of criticism, its sustainability, influence, rigor and relevance have been debated, and included James Elkins’s proposal that criticism is massively produced and massively ignored. Kelleher questioned the relevance of criticism in the online era, arguing that much of the anxiety within criticism arises from its lack of influence and authority as well as the uncertain position of the critic. She emphasised the importance of judgement and accepted that authority and influence might no longer apply in the same way, seeing this as an opportunity for critics to evaluate their own role more rigorously. “Though influence of criticism may wane and quality of writing vary,” she stated, “the critic still occupies this role of ambassador, advocate, analyst and appraiser and a contributor to the first draft of art history”. Taking art ‘personally’ was at the heart of Cristín Leach’s contribution to the symposium. She emphasised the importance of “being in the moment with the art”. While she recognised that the critic has many roles, she stressed that their main role is to take art personally. She emphasised that “the only thing worth writing is the thing only you can write,” explaining that this influences why certain writers become our favourites, that their distinctive style stems from taking art personally, which comes through to the reader in their unique response. Leach suggested that while writers wear a professional mask, thoughts and feelings from their personal lives could materialise in their writing in an invisible way and speak to the reader on a personal level. Leach argued that the skill in imparting this personal connection or reaction is to do so without using the first person or even the second or third person. 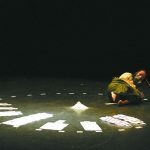 “The ‘I’ must be invisible, but always ever present and always taking it personally.” However, later, there was some debate on whether specific circumstances of a particular show could warrant occasional use of the first person pronoun. 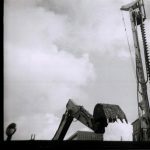 Caoimhín MacGiolla Leith acknowledged the difficulty in categorising the current state or future prospects of the field of art criticism, proposing that criticism and the critic had not one role but many. He considers the audience central to writing on art and spoke about the difference between writing about work that was unknown and work that has already been reviewed many times. He suggested that criticism could fall into different categories and cited Elkins’s seven categories. Acknowledging that, while this system of classification is still useful, he felt it could “easily be updated, augmented or expanded to accommodate those recently emerging or resurgent forms of art writing that disengage from description, analysis, evaluation and contextualisation in favour of more novel and eccentric modes of address”. Kinds of writing that (here referencing Gertrude Stein), “coexist with the artwork on a parallel plane, rather than just serve it”. Declan Long opened this panel by stating his own personal addiction to criticism, detailing the stylistic characteristics that draw him to certain critics and the learning that can be garnered from reading criticism. He discussed how, in specialist publications, there are expectations, “not just of shared vocabulary but of shared enthusiasm, shared responsibilities, collective cultural preferences”. He suggested that the writers could be their own first audience: “Perhaps it could also be for me as I write it… I write something I think I want to read”. Long went further towards answering the question of who criticism is for, asking who criticism is advocating on behalf of, rather that who is it against. He concluded that “criticism is against the already decided, the dogmatic”. Rebecca O’Dwyer steered away from ‘audience’ as a response to the question ‘who is criticism for?’ She peeled away layers of the question, arguing that the ‘who’ is centred on the supposition that the value of criticism is only determined by its ‘use’. She dismissed the value of criticism being evaluated by ‘use’ and ‘being read’, explaining that these stem from the professionalisation of the field and the belief that it should “do something”. O’Dwyer emphasised the value of both reading and writing in gaining a greater understanding of art and considered how criticism could be for the critic. She came to the conclusion that the act of writing criticism is largely for her, as a writer, while also being “for no one and, at the same time, everyone”. Brian Fay also considered the idea that writing is a creative process for the writer. He responded to the question of who with “whoever needs it”, proposing that art criticism audiences are heterogeneous, and shifted the question to identifying who those people might be and why they would want it. Identifying practicing artists as a group that consistently and actively engaged with criticism, with it often informing art production, he presented a model of three stages, from production, to exhibition, to the final stage in which the works invoke a response. He argued that this model failed to take into account that stage three could inform stage one, referring to it as a “twisted cylinder loop”, with criticism, interpretation and evaluation “embedded, entwined in the act of production”. Fay also discussed the review of finished work, emphasising how artists require resistance, and advocated for the value of criticism as dialogue rather than merely as validation. Opening the third and final panel, Clíodhna Ní Anluain considered how radio and television are often seen as ephemeral and noted the absence of any reference to either in the earlier proceedings of the symposium. She emphasised the importance of story on radio and television, and the power that a broadcasted discussion can have in changing the perceptions of both the contributors and the audience. She considered the significant historical legacy of the spoken archive that RTE has built through its interviews and recordings. Central to Gemma Tipton’s contribution was the idea that art crosses worlds. She advocated on behalf of writing that brought art and artists’ ideas into other disciplines and conversations. While acknowledging the lines within disciplines and the multitude of contexts in which writing can sit, each with different mandates and audiences, she encouraged separating the idea of the specialist and universal audience. Tipton emphasised the importance of inclusivity in both language and discourse as the future brought more cross-disciplinary ways of thinking and making. 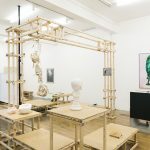 While she understood that specialisms have their own languages, she proposed that technical jargon can be used to hide poor writing, which poses a major threat to art criticism. Tipton considers the future of criticism bright and advocated “continuing to push for excellence on the specialist side, for cutting through the noise and getting rid of the insecurities, remembering the idea of pleasure”. 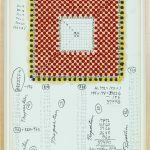 ‘The Value of Criticism’ symposium built on the legacy of similar events that have attempted to determine the purpose of art criticism as it fractures and evolves at a time when traditional definitions, functions and approaches hold less currency. The symposium had a more optimistic feel to other pulse-checking sessions on the subject. Thankfully, the contributors steered away from the well-rehearsed discussion of the perpetual crisis and towards conversations of inclusion and the value of criticism, giving a sense of a bright future, with space for more voices, audiences and writing. Emma Dwan O’Reilly is a writer and researcher based in Tipperary. 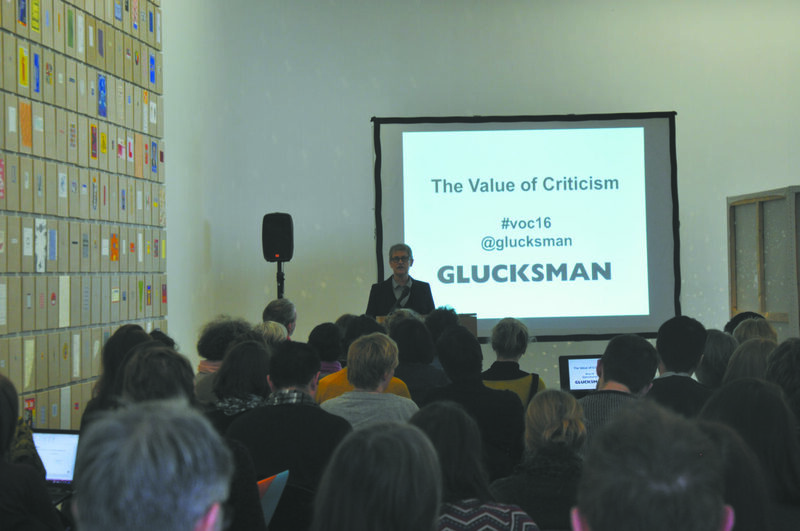 Image: Keynote by Patricia Bickers; image courtesy of the Glucksman Gallery.